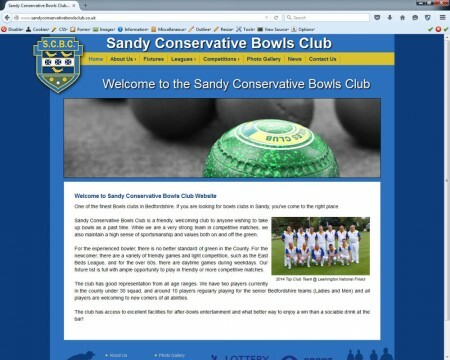 Just one of the unique functions of the Sandy Conservative Bowls Site is how it manages the club competitions. The Administrators can create a new fixture with details such as date, time, location and more. The system then emails all eligible members and manages their responses, recording their intention to attend, decline the invitation or reserve their confirmation for a later date. This gives the Administration a live view of which members will be in attendance for any given fixture. All results, from all competitions, are available for public inspection via the site too.